Welcome to the best site on the internet. Maybe we will see you on the course some time. Anyone up for playing Sunday before Labor Day? I am about a 10 handicap...live in Boulder. 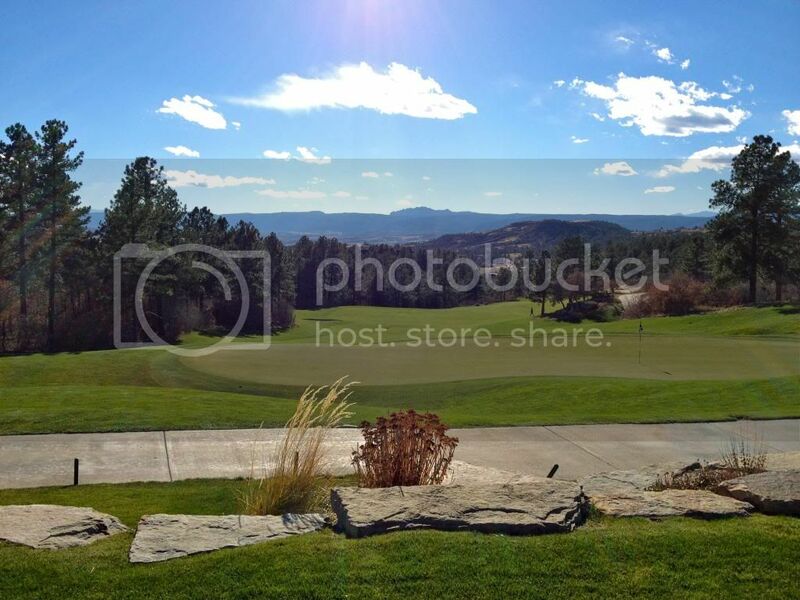 Colorado Avid Golfer has some nice $52.80 specials starting on Monday. I'll be moved over to Colorado in November. pretty bad time to move to Colorado, golf wise at least. but I'm down in Parker once a week for a couple days which is right next to highlands ranch so if you ever want to play let me know. I'm really trying to improve my game and I'm going to the range at least 3 times a week sometimes more. I'm really trying to improve my game and I'm going to the range at least 3 times a week sometimes more. I was going to hit Family Sports range tomorrow around the lunch-hour, but I have to go into the office instead. I'll probably go next Tuesday and Thursday, though. I spent an hour at the short game area, and it improved my wedge play immensely last weekend. sorry meant to say down there once a week haha. but how do you feel about saturday. I usually go and hit a large bucket then go and do wedge work for a hour or more. I was supposed to play Murphy Creek on Saturday with my golf league. Sadly, way too many family activities this weekend to consider it. I'm heading there after work today.. plan being there ~4pm. Cargo pant and a Longhorn t-shirt. Hook'EM! Heading out on Saturday around 4pm. Debating between Links at HR, South Suburban, or Family Sports. Well that was an epic fail. Went to the Family Sports range instead. Anyone getting out this weekend? I'm playing my course both days but could be convinced to play elsewhere. I would like to comment on the weather we have been having. It is just great. Talking to my friends back in MN and they are all ice fishing!! I live in west Littleton and play the Meadows a bit. I know a lot of people hate that course but its close to my house. If anyone wants to get out and play just let me know. Hard to believe that we are playing in short sleeves in December! Played Saddle Rock yesterday and it is in decent shape for this time of the year. Thought it was a little pricey for December at $55. So I'm here! Played The Ridge At Castle Pines 2 weeks ago. Niceness. We've had amazing weather and I'de love to get out before the super cold hits but I am still looking for work and broke. Does anyone know of a good club fitter/ teaching pro in the denver metro? I have seen the guys at Metagolf at Broken tee but they kind of rubbed me the wrong way. Let me know what kind of experience you guys have had. I'm looking for a good outdoor fitting place for Titleist equipment as well. I'm willing to travel around if needed. I'de like to get new shafts for my irons and fitted for a new driver by next summer. Of course the good weather comes to an end just in time for the weekend! We were spoiled in November though. Great shot of CPN! As for higher end club fitters, d'Lance Golf does them in the Inverness area, and there is a place that does them at Green Valley Ranch as well, called Gott Golf. As for teaching pros, the two I'd recommend for better players are John Ward (Out of Family Sports - South metro) and Perry Holmes (Out of Coal Creek - North metro). Should be able to google both. They're both good players themselves, I prefer to get my lessons from guys who can beat me. Thanks a ton. I am NOT a fan of getting fitted via launch monitors. Your numbers may say one thing but seeing my ball flight in reality is another. Numbers + outside = win. haven't been on this site in a while but Gott Golf does outdoor fitting with a Flightscope monitor to help with tuning. They have practically every piece of equipment you will ever want. Try them out as they are WAY cheaper than d'Lance and just as good or even better. d'Lance uses out of date equipment and is all indoor. 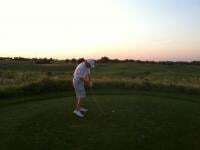 I did an outdoor Vokey wedge fitting last year at Bear Creek Golf Club. They are the regional Titleist fitters, had ProV1 range balls and provided a first class outdoor experience. 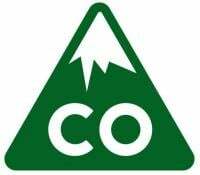 Quick Question Fellas - I am moving to Boulder in early summer from Palo Alto, CA. I have been doing a little research around online and was hoping to find the best place to practice and work on my short game close to Boulder. From what I have gathered, the best option is Colorado National. I live on the south end of the Denver metro area and have not been to all of the northern metro courses. However, I have played Colorado National several times and their practice facility is very good. The University of Colorado golf team practices there.